Route 40, Approaching Colorado Springs. 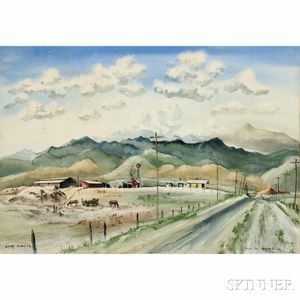 Signed and dated "Adolf Dehn '39" l.l., titled l.r. 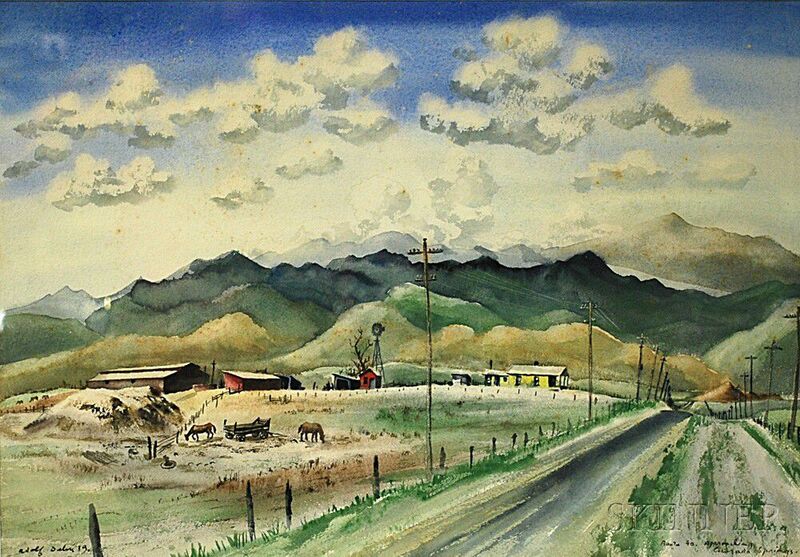 Watercolor on paper, sight size 15 x 22 in., framed. Condition: Scattered foxing, subtle mat burn, not examined out of frame.